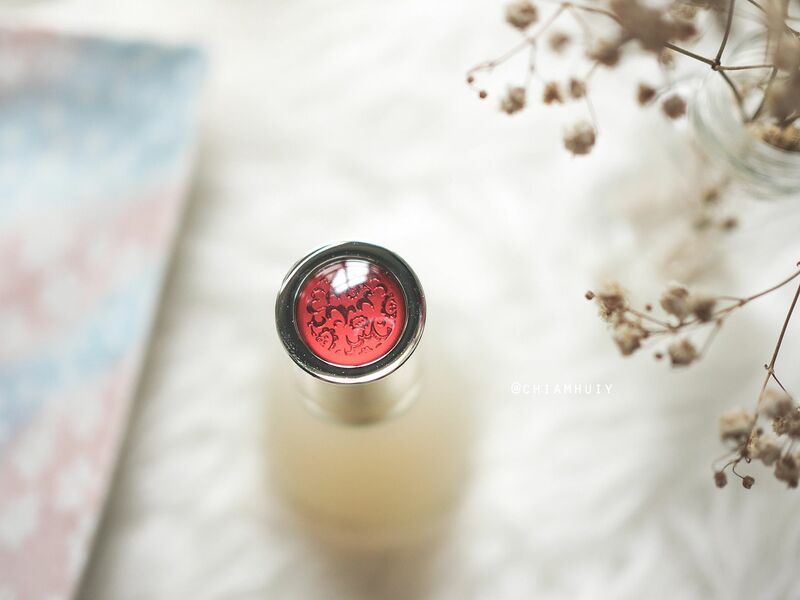 The frosted bottle gives a very exquisite feel to the entire packaging. That aside, su:m37° Secret Essence is actually transparent, so it feels and looks like water. However, it has a very pleasant and mild sweet scent, which I guess it's coming from the fruit ingredient. 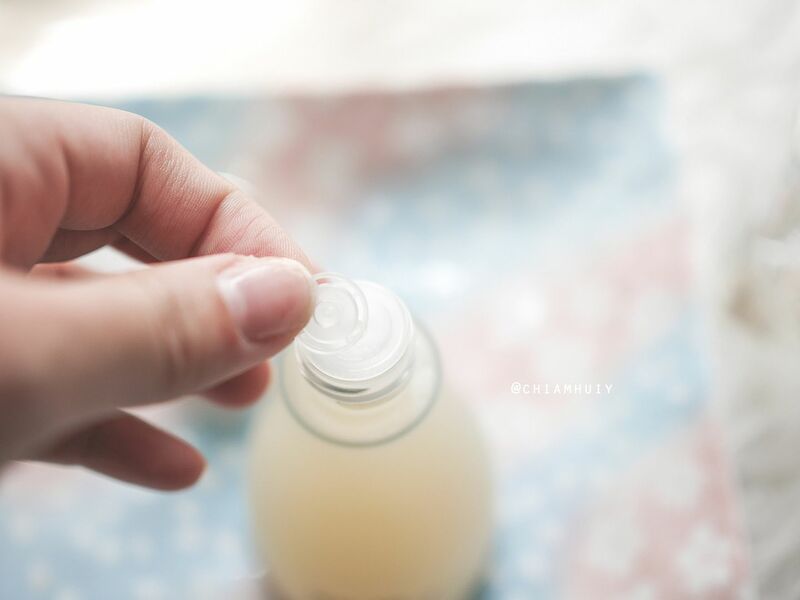 After little effort to spread the already lightweight essence, the essence gets absorbed almost instantly, leaving no residue behind. The skin doesn't feel tacky or heavy at all. 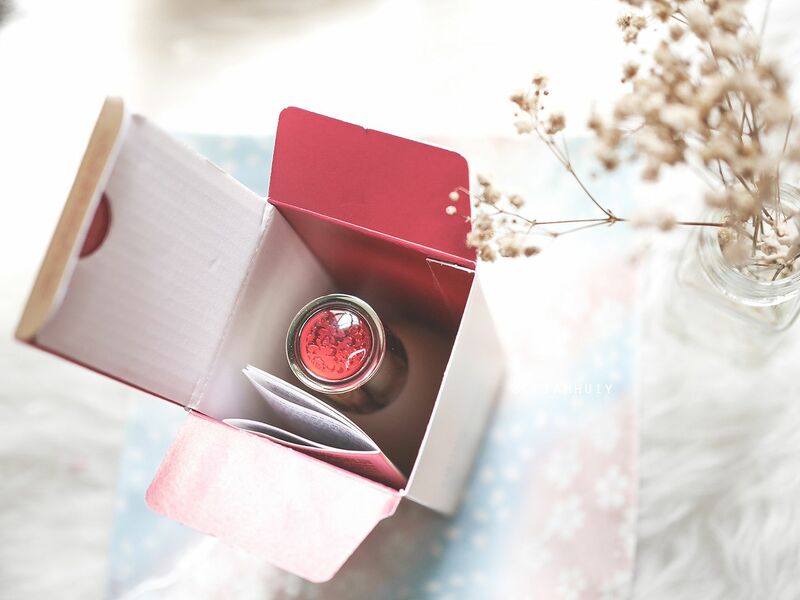 But because it's a lightweight essence, the skin is mildly moisturised and I do recommend using a proper moisturizer after this step to complete your beauty regime. All in all, I use this as the very first step of my beauty regime to prep my skin for any other skincare products following next. 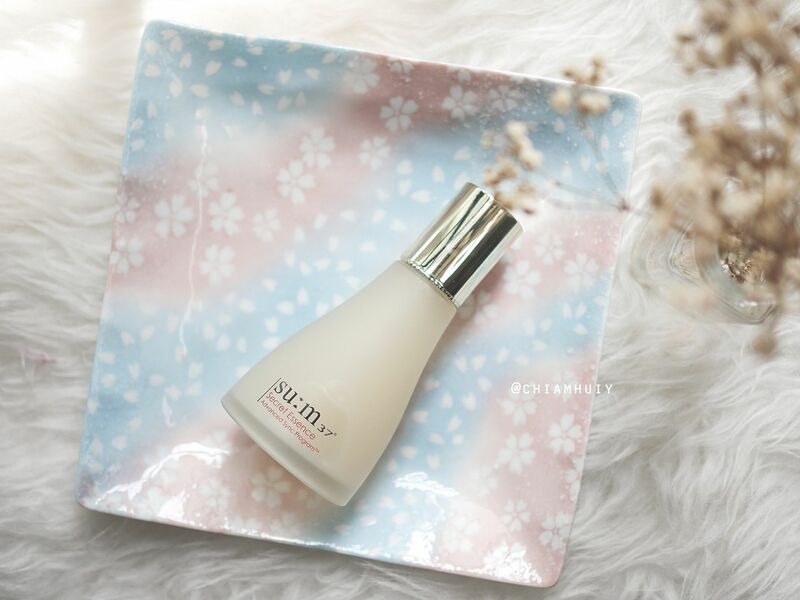 su:m37° Secret Essence is the best selling product of Korean skincare brand, su:m37°. 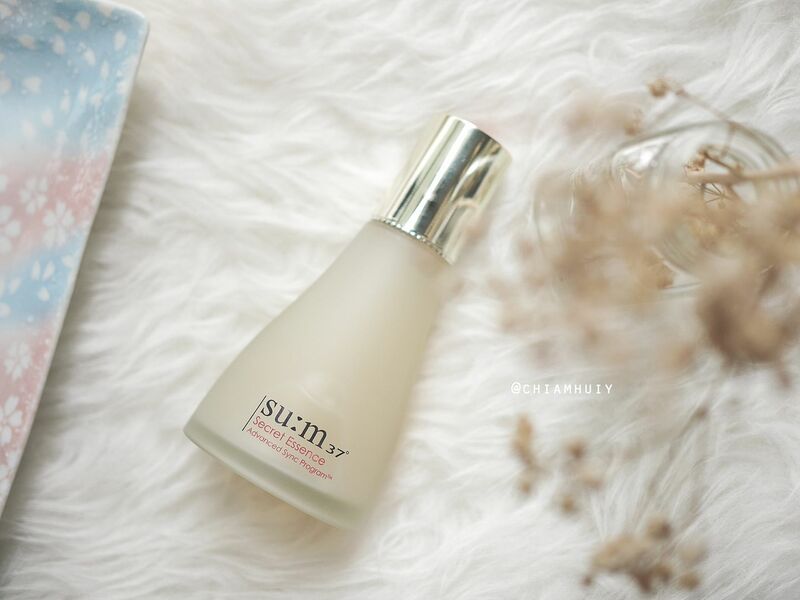 With it's own Natural Fermentation Research Institute, su:m37° uses natural fermentation at 37 degrees for at least 365 days to create the su:m37° ̊ Secret Essence. 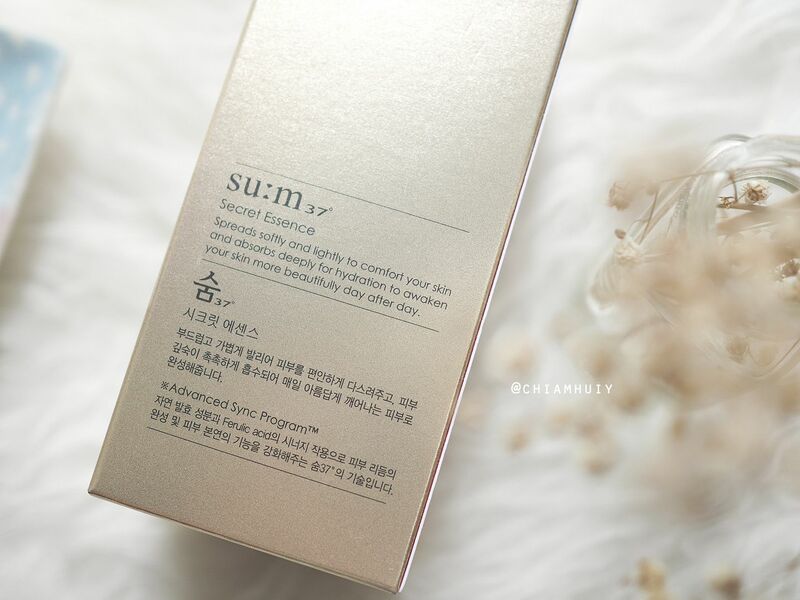 In fact, su:m37° is the only Korean brand with its own Natural Fermentation Research Institute! There's an exclusively patented ferulic acid found in Secret Essence ($108 for 80ml, $175 for 150ml), which helps activate the star ingredient, Cytosis®. Cytosis®is made of more than 80 different plants, and is essential in re-building the foundation of good skin and strengthening it against external stressors and pollution. 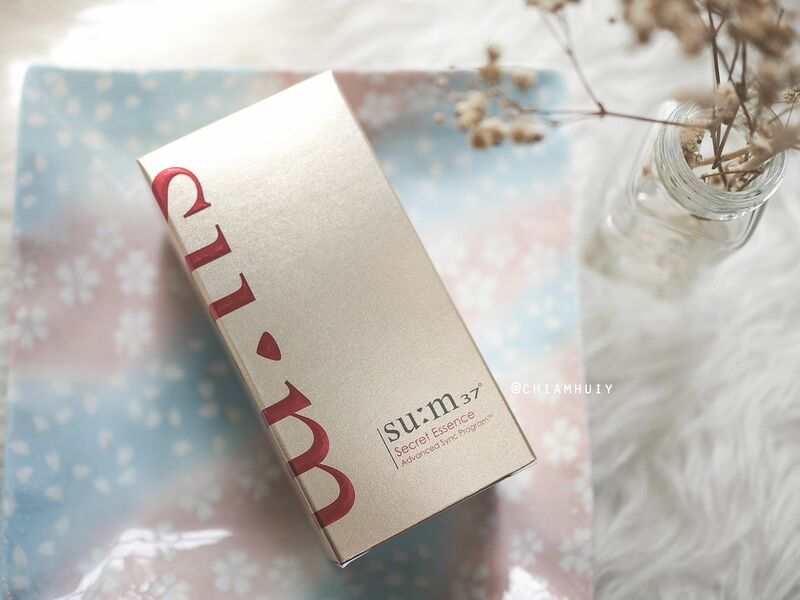 Rich in antioxidants and further enhanced by the Advanced Sync Program, su:m37° Secret Essence improves the skin’s tone, brilliance, firmness, texture and hydration. 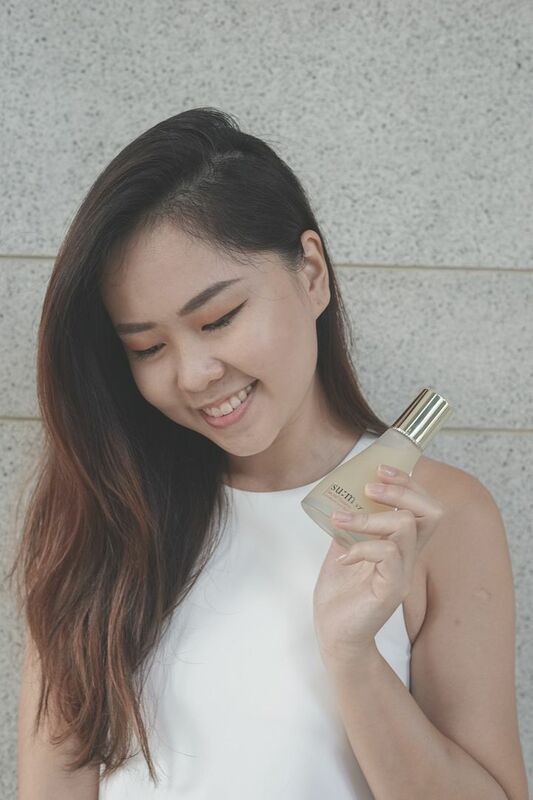 My skin looks pretty clear a few days after using su:m37° Secret Essence. My usually dry areas like the laugh lines and cheek areas have improved so much. It no longer feels that dry and in fact, my skin has became more supple. Makeup tends to last longer as well. 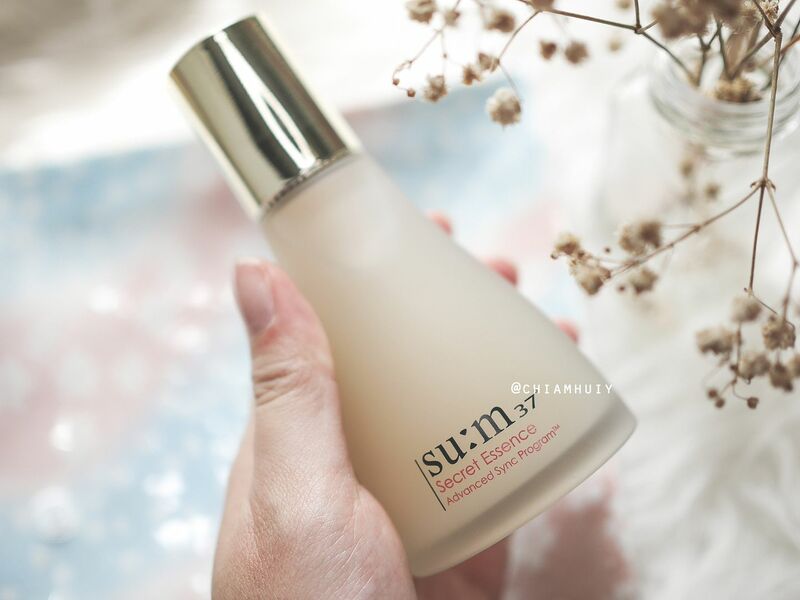 If you would like to try out the su:m37° Secret Essence, here's some good news for you! Every Saturday is su:m37° Sampling Day. 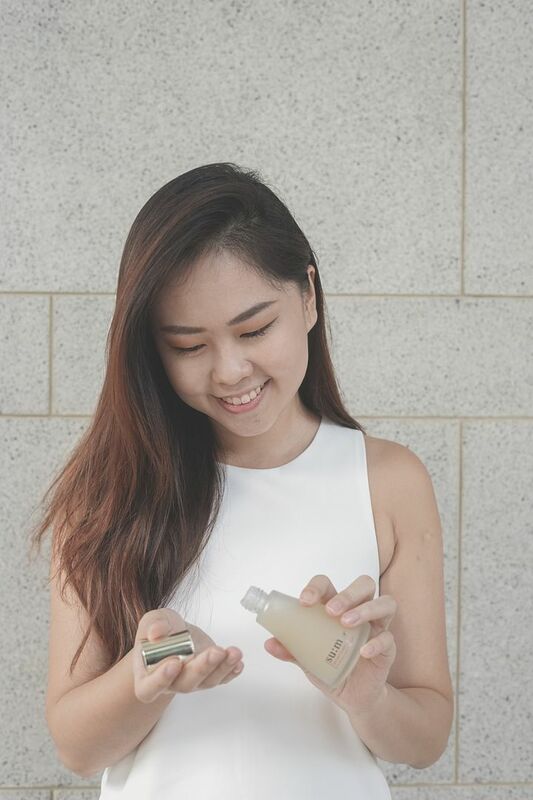 Visit their counters at Tangs VivoCity and Tangs Orchard (opening in 21 Jul) to receive Secret Essence 5ml sample and take home special gifts with any purchase.